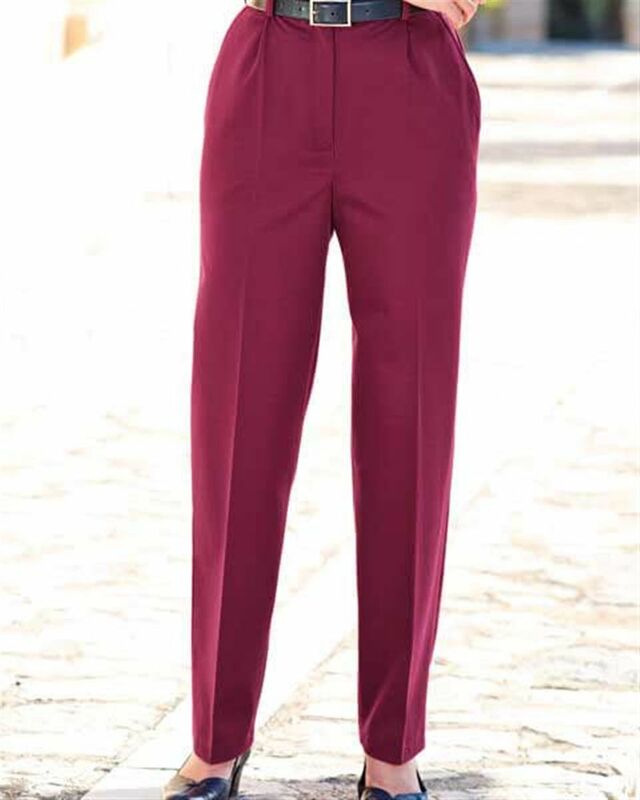 Ladies softly brushed pure cotton twill trousers. Comfortable and durable. Classic trouser style with front zip and button fastening. Flat front, back darts, side seam pockets and side back waist elastication. With belt loops. Pure cotton is both light and comfortable. Sizes 10-24 Waist and leg Lengths 28" 30" 32"